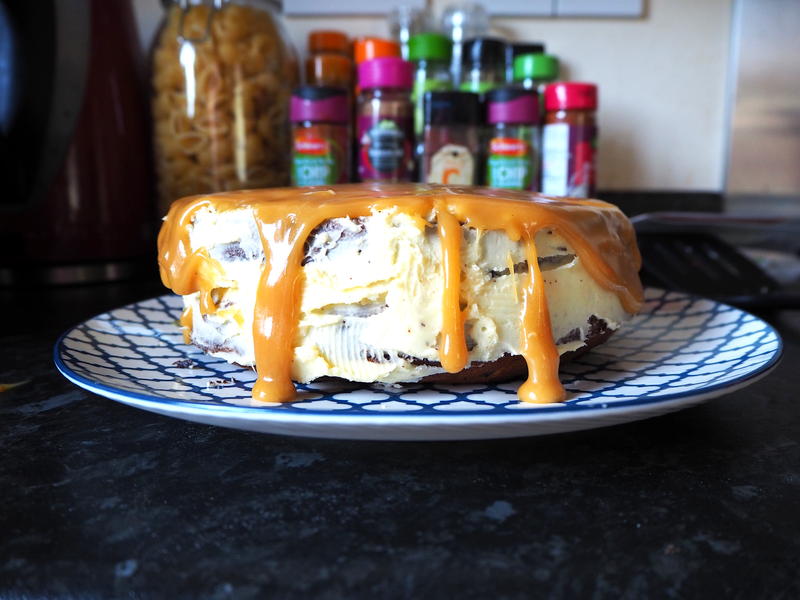 Bakedin Review: Sticky toffee drip cake! Since moving house I've become even fonder of baking, throughout October I did a variety of Halloween posts and with Christmas on the horizon expect the posts to keep coming. A little while back I was offered the chance to review a baking subscription box called Bakedin, which each month you are sent a new recipe out to try. 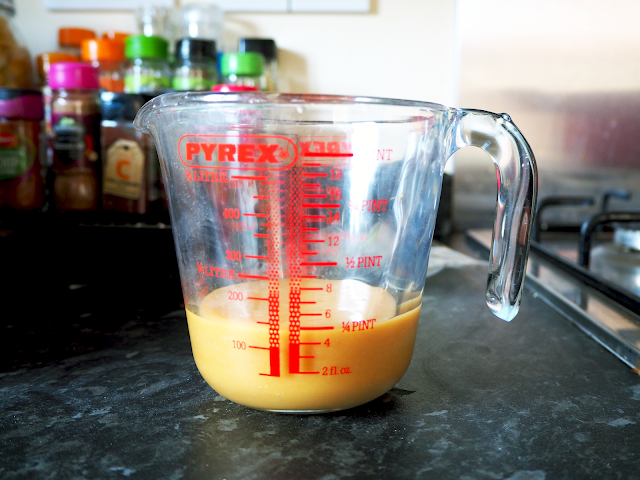 The recipe includes ingredients which are already weighed out for you, and any additional extras such as baking paper or measuring tools are included. You just need to add the fresh ingredients on top. Each bag of product is labelled to follow each of the steps which are contained within the leaflet in the box. The recipes are developed by Michel Roux who is one of the worlds finest pastry chefs, which makes the whole concept even more exciting. If you're looking to sign up to Bakedin, if you subscribe here and then use the code 'OLIVIAJADE299' you can get your first box for only £2.99. My first impressions when the box arrived was how neatly packaged it was as I've noticed a lot of companies using excess packaging lately, so I was glad to see this was just right. I saw the recipe card and was drooling at what my kitchen adventure was going to entail. 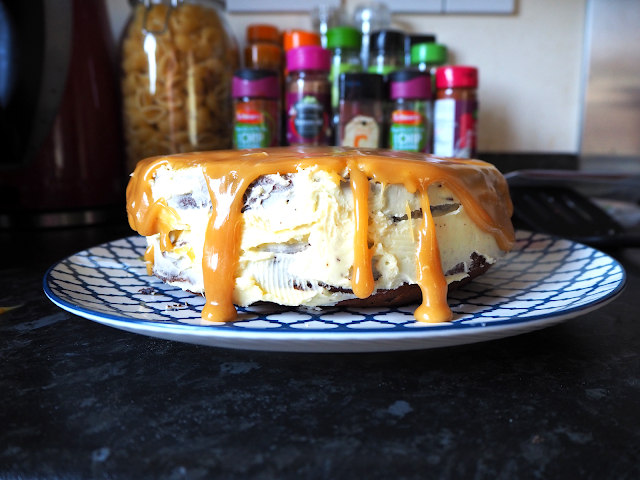 For the Sticky toffee drip cake, the additional ingredients needed alongside were butter, double cream and eggs. Having the step by step leaflet in front of me was super helpful as I knew which bag to use and the timings. The first thing I was greeted with was bag 1, which was full of dates and I had to heat them in a ban and then let them boil. As someone who has no idea about using fruit within food, I was a little confused about what sort of consistency the dates should end up like. I did find the picture on this step a bit hard to understand how it was supposed to look at this point so I just went for it. The rest of the creating of the cake I found it easier to follow the card. Adding the rest of the ingredients (sugar and eggs) to the dates and after stirring this, I then went on to fold in the flour. Once this was done it made a nice golden mixture which was then poured equally into 2 cake tins. I popped the tins into the oven for about 18 minutes before they needed to come out. I know the recipe said about 25 minutes but mine were done way before that. I used the stick provided to poke into each of the sponges to make sure they come out clean which they did yay. 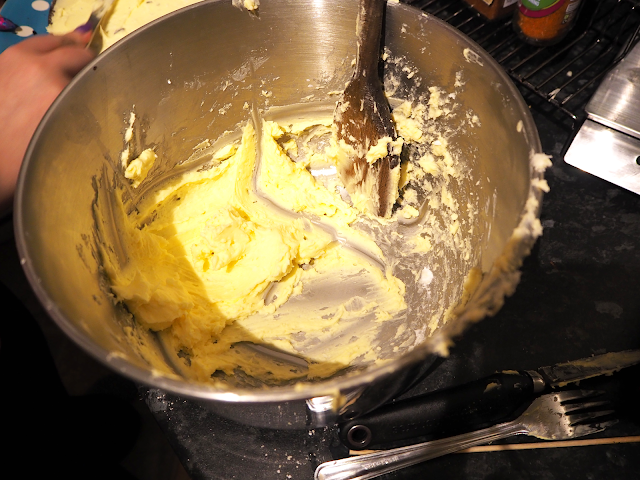 I then took out the cakes and left them to cool on the side, before a few hours later creating the butter icing. Which was simply just butter, icing sugar and a tiny amount of milk. 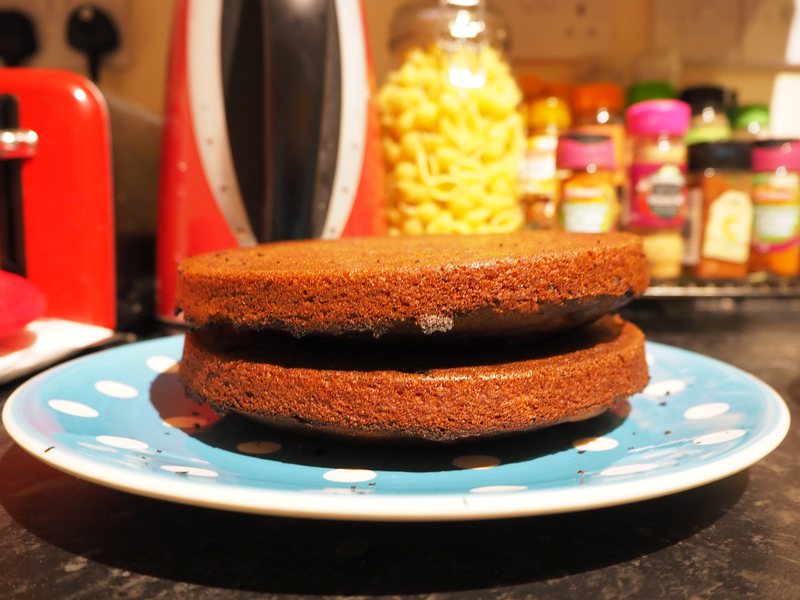 Once whisked together I covered one of my cakes in icing before sandwiching the second one on top and then covering the top and the sides with the icing. I struggle a lot with precision so I did find it hard to make this look 'perfect' once I was happy enough with the result I popped the cake in the fridge overnight for the butter icing to set. You don't have to do this, however, as it was quite late I thought it made sense to do so. 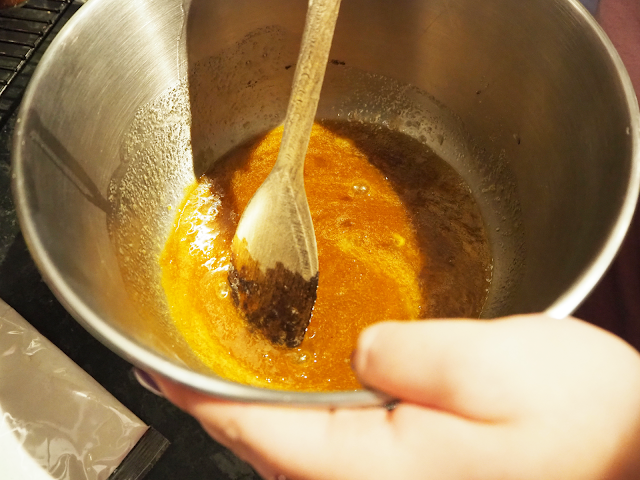 In the morning I took the cake out of the fridge and it was time for the final step, making the toffee! This was the part I was most excited about throughout the process but also slightly scared as I have tried to make it before and it turned into a mess. For the toffee sauce, we added butter, double cream and demerara sugar and put it on the stove in a heavy duty pan. I continually stirred until it gave the texture of the sauce I was looking for. 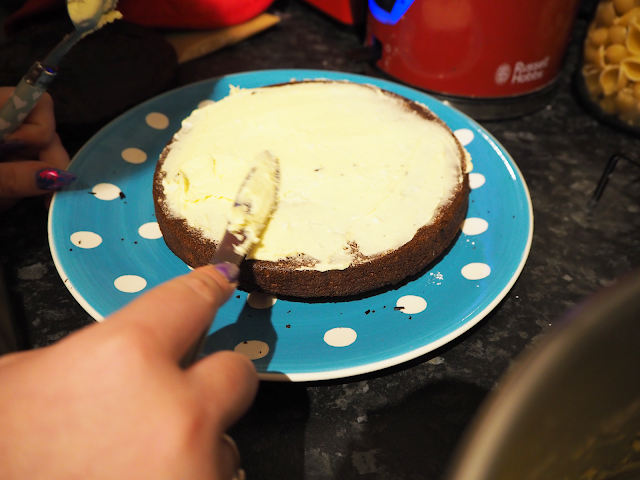 Then I poured the sauce into a jug and let it cool for a while, before pouring it all over the cake and watching it drip down the sides, it looked so divine. For someone who doesn't really know that much about making cakes, I was pleasantly surprised at how great the cake turned out! Plus my friends and boyfriend loved it too. I found my first Bakedin box a success, it has provided me with a recipe I never previously would have thought to make and I also now know how to make toffee sauce. 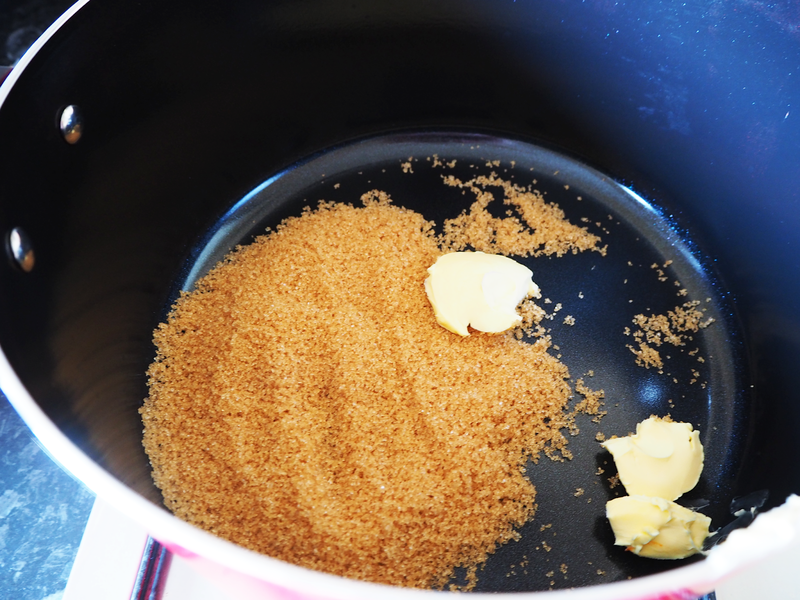 The step by step guide made it easy to create the product compared to a normal recipe. The box already has the ingredients weighed out is great for those also who don't have scales. It even comes with a guide for how much butter to use. 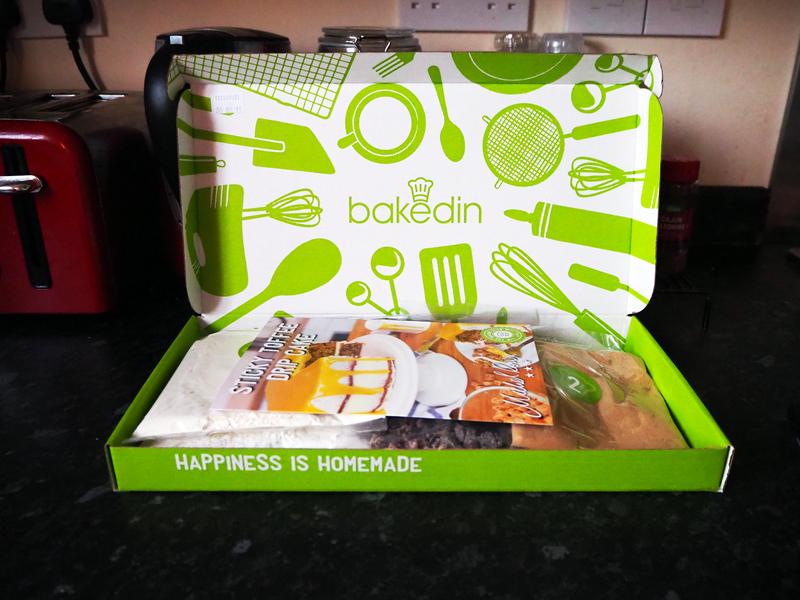 Thank you to the Bakedin team for providing me with this box and it was great fun to get creative! Would you subscribe to Bakedin? One of the things that puts me off baking is having loads of half-used packets in the cupboard after I've tried a new recipe. This is a great way to get around that problem! Yum! That cake looks so good. I love the sound of this box. 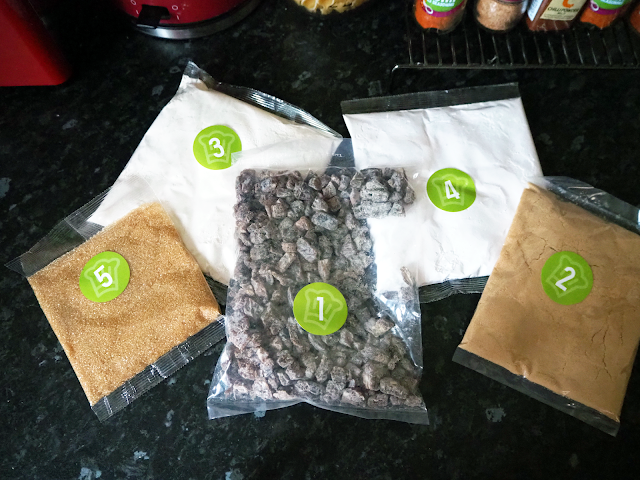 I do like baking but don't often find the time and end up with lots of half used ingredients that end up getting thrown away weeks after as I haven't used the rest - this would solve all of my problems! 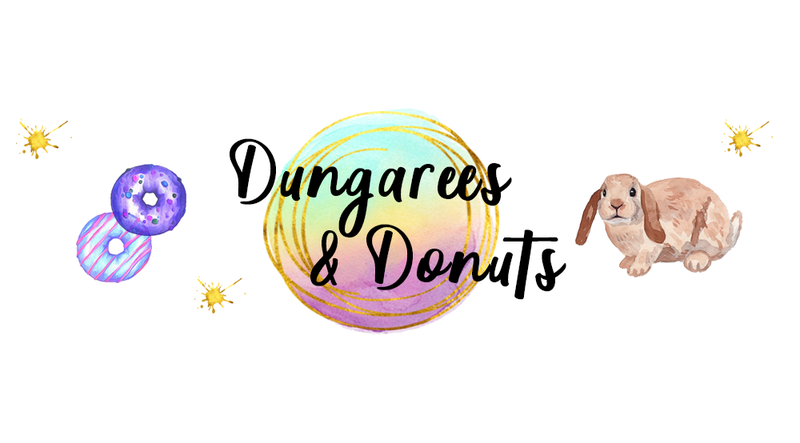 How did I not know there's a baking subscription box? 😍 This looks delicious. Yeah I didn't either till I googled baking subscription box there are a few out there!! Tattoos: The good, the bad and the ugly. Engagement, excitement and happily ever afters? Lets talk about Seasonal Affective Disorder.